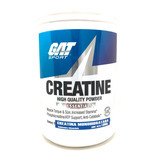 Creatina Platinum 400g Sin Sabor Muscletech. Creatina 1 Kg Sin Sabor 200 Servicios Dymatize. Creatina 1 Kg Sin Sabor Gat. Creatina Musclepharm Sin Sabor 300 Grs.